My name is Oksana Mader, me and my husband Peter live in Benalmadena (Spain). Five years ago I discovered the wonderful world of patchwork. 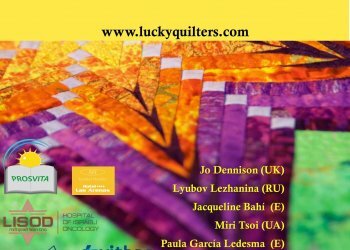 In the last year of 2016 my work "Kaleidoscope of my life and love" took first place in the category "My first quilt" at the competition in Birmingham (Great Britain), the most important European competition. Later this work was exhibited in the exhibition hall Alexander Palace in London, and later in the international exhibition center Royal Hall (Harrogate), Great Britain. 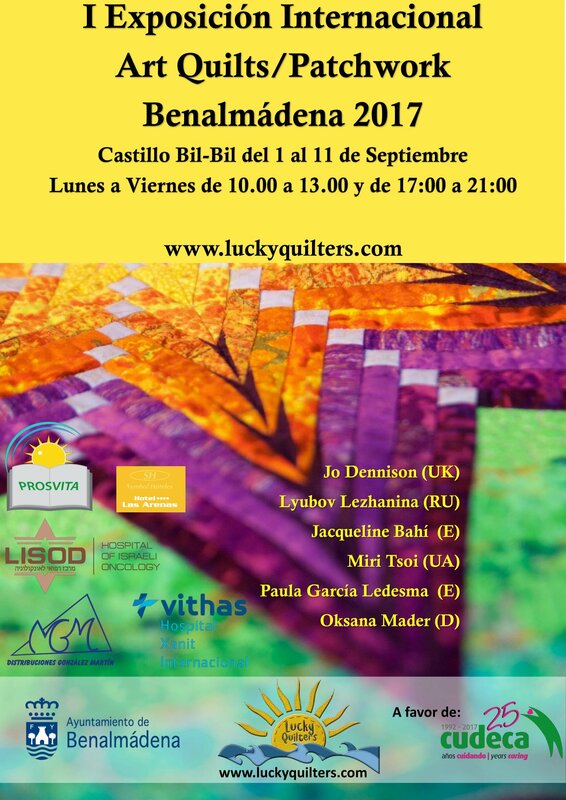 Together with the Ayuntamiento of Benalmadena (Malaga, Spain) we organized the First International Exhibition of ArtQuilts and Patchwork, which takes place from 1 to 11 September 2017 in the castle of Bill- Bill in Benalmadena.